Arsene Wenger has through a rant launched an attack on Unai Emery with regards to the recent eviction of Arsenal from the 2018/19 FA Cup contest. The Gunners in their quest to seal a 14th title lost 3-1 to Manchester United on Friday night and the former manager who paved way for the Spanish boss has asked questions as to why that occurred. 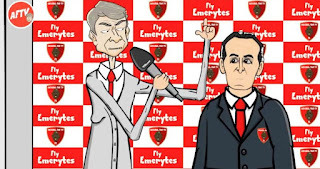 In a parody video published by 442oons the Frenchman via his version of Arsenal Fan TV poured out his anger on Emery and his boys. He referred to the FA Cup as the Arsene Wenger Cup obviously because of the success he recorded on that front during his reign in England where he won in 1998, 2002, 2003, 2005, 2014, 2015 and 2017. 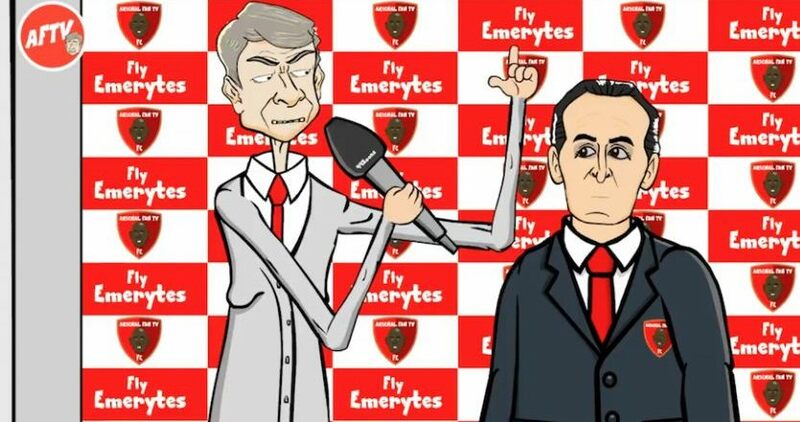 As earlier said and as you can see, this is just a parody animation which doesn't represent the views or opinions of the Arsenal legend who left as the club's most successful manager after spending 22 years at the club. He is out of football management for now but said last year that he is open to a new job in 2019 but not necessarily as a front-end staff.